If you want I can make a preliminary translation for you. We might try this method on the first few pages, and then we'll see if it boosts the translation procedure or not. Ok, I will send you texts by PM. I've been thinking... What would be more durable in time, Ethernet or Wfi? surely Wifi, but it is constantly evolving, its protocols change every time a new vulnerability is discovered. But the old good RJ45 cable is here to stay. I bought something similar from China but it came with Chinese instructions and I could not get it to work. Then I discovered Netgear made something similar, so should be more reputable. But then discovered they have now stopped making it. So I found a used one on eBay, but I couldn't get that to work at all, I think it was faulty. But yes, should be possible, it's just that I haven't managed it yet! I already use one of this on my house, for about two years. But until now I didn't realize this possible use. Basically what it does is a mirror of the router's wifi point access, although you can hook it while creating a new zone with different wifi protocol and password. 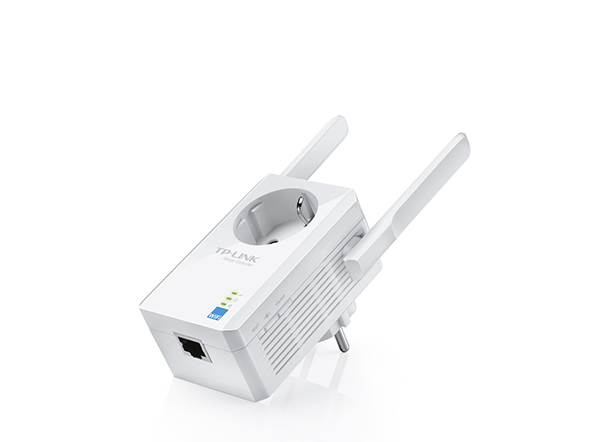 Once remotely connected to the router, the added RJ45 plug acts like a direct link from the user's point of view. I don't know if it gets a new IP address from the router or from the range extender. I bought mine in a discount in a large warehouse of electrical appliances. It is not a strange device, but rather common. Here in Spain the prices start from about 25 Euros. At first use it creates its own wifi zone, being accessed by the provided key. Then a web-page(for example: http:// 192.168.1.0/) is accessed on the web-browser for configuration and searching of the target wifi zone. It was very easy to set it up. I will try another one! Making legacy ethernet devices work on wifi must be a very common problem! Yes, is what I've thought. If a new Wifi encryption protocol is introduced, lets say, on next ten years, we could buy a new wifi range extender adapted to the new protocol. I was hoping not to have to write this, but sadly I have to report that EPNET is on hold for now because of an unusual problem I have had since last November: my house (and workshop) have been invaded by biting bird mites. I have spent a small fortune with pest control companies but nothing they have done has got rid of the mites. My strategy now is too stay away from my house as much as possible (ie. all day, every day) in order to starve the mites out (they are blood feeders). It is an uncommon problem but it is clear from other peoples' stories on the internet that this could go on for months or even years. I am grateful that it does not threaten my health, but it has put my life on hold. I am very sorry to anyone waiting for EPNET, and particularly to gflorez and zozo who have put time into translations, but there is nothing I can do at the moment. I have put a lot of time and work into EPNET and it is very painful to have to abandon it, but I have no choice. If anyone is in a position to continue the project or a related project I'd be happy to send h/w design files and s/w source code, and help with knowledge and expertise. I like to think I will continue it again in the future but currently I just cannot say when that might be. I hope you get them starved out quickly. Please let us know if we can do anything to help. Sad news I hope those mites will die soon, and you can live in your house.